Western Red Cedar grows at low to mid elevations along the coast and in the wet belt of the interior of British Columbia (B.C. ), Canada, where the climate is cool, mild and moist. It is a large tree, up to 60 metres tall when mature and 2.5 metres in diameter. It is often found along side Douglas Fir, Sitka Spruce, Black Cottonwood and Red Alder, as it is rarely found in pure stands. Western Red Cedar makes up approximately 8% of B.C. 's total growing stock and is one of the country's most commercially valuable species. 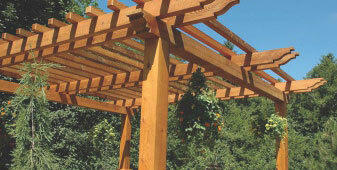 Due to its unique properties, Western Red Cedar products have been developed for a variety of applications. A major benefit is its excellent durability and dimensional stability leading to uses such as roof shingles, exterior sliding, exterior cladding, weather boarding, greenhouses, portable buildings, poles, posts, fences, ship and boat building, as well as for boxes and crates. Due to its tendency not to splinter, Western Red Cedar is also popular for decking, outdoor furniture and playground equipment. 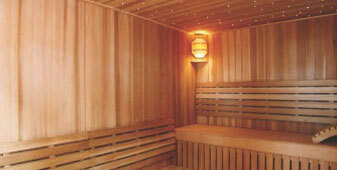 Western Red Cedar is an extremely attractive wood that is also popular in interior applications. It is popular for sash, ceiling and wall panelling, as well as for millwork. Due to its dimensional stability it is perfectly suited for uses such as sauna paneling, mouldings and window blinds. Western Red Cedar is also a good choice for musical instruments due to its superb acoustic resonance properties. Western Red Cedar lumber is often sold unseasoned; however, kiln drying greatly increases product stability. Cedar wall panelling, cladding and use in exterior pergolas has been greatly admired in India for quality projects. Western Red Cedar is the official tree of the Province of British Columbia (B.C. ), Canada. The largest living tree in Canada is a Western Red Cedar with a 5.9 metre diameter. Because of its natural decay resistance dead red cedar trees can remain sound in the forest for over 100 years! Hot-dipped galvanized or stainless steel nails are essential for use with Western Red Cedar as the acidity of the extractives in the wood can accelerate the corrosion of metals and leave a black stain when the wood is wet. Stainless steel, brass, aluminium, copper or metals with a protective coating must be used when applying fittings, fixtures or fasteners to Western Red Cedar products. Western Red Cedar is a fairly lightweight wood, which is moderately soft and low in strength. It is known for its excellent working properties, resulting in a smooth, satiny finish using sharp tools. It has good machining qualities, planes and shapes well and can be sanded to a smooth finish. The wood glues easily, has moderate nail and screw holding ability and polishes well.